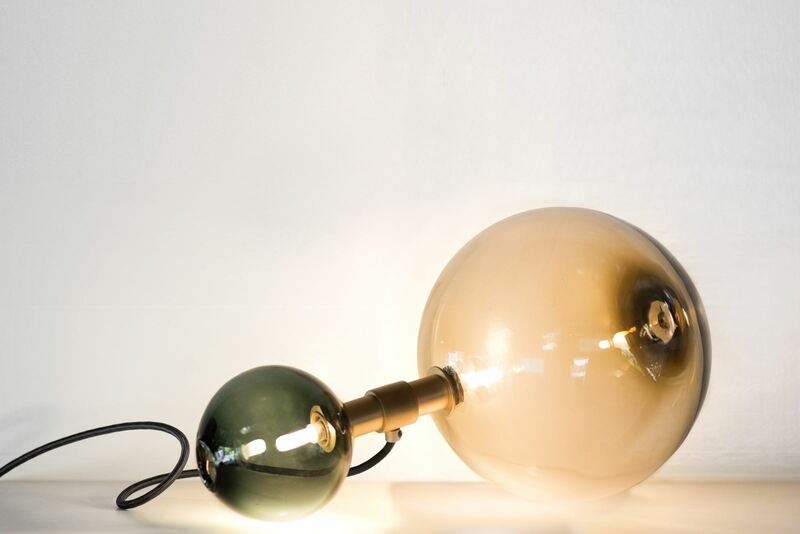 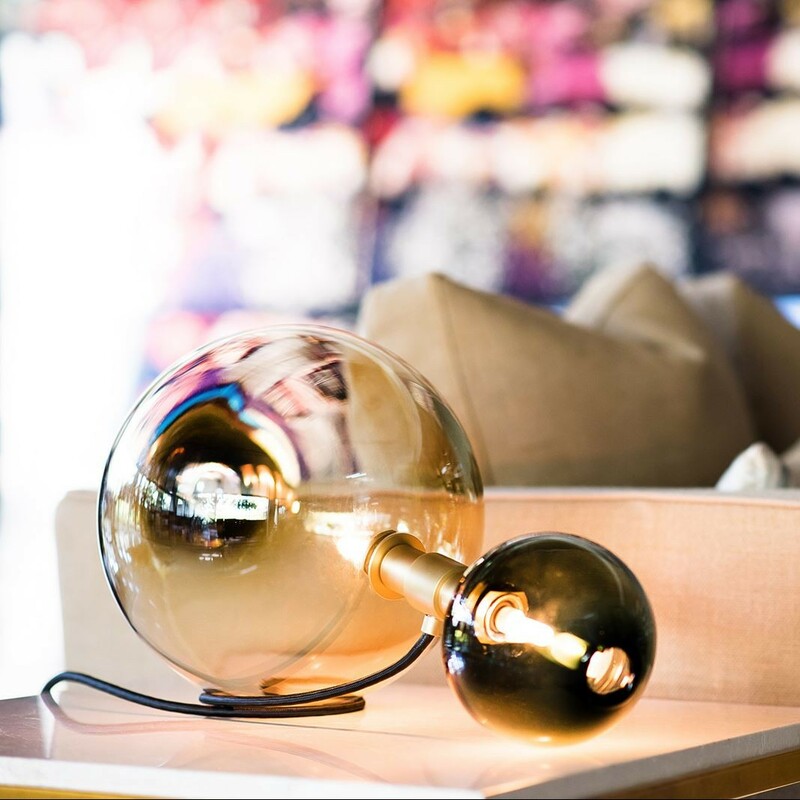 Twice consists of two lit handblown glass spheres connected by a cylindrical brass armature. 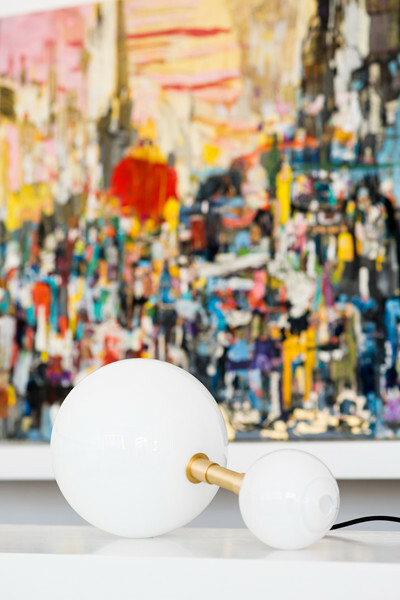 Two different diameter spheres make for an asymmetrical light: one sphere is 4 1/2″ (11cm) diameter, the other is 10″ (25cm) diameter. 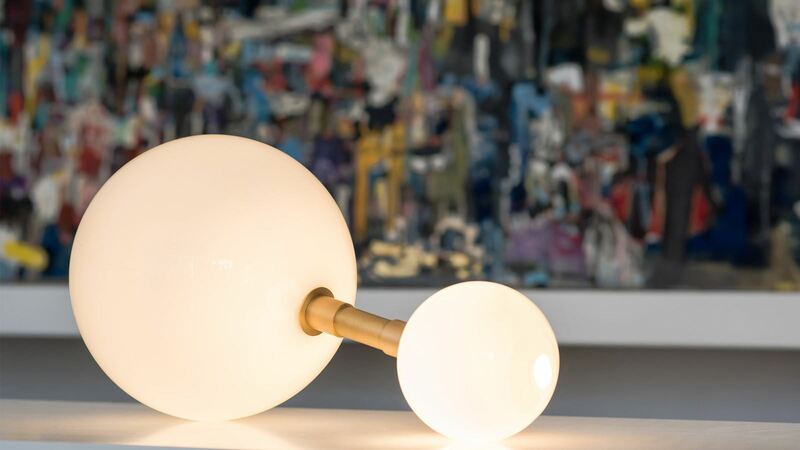 The glass spheres each feature an off-center double-dipped fire-polished mouth where the piece is broken from the glass master’s pipe, making each unique. 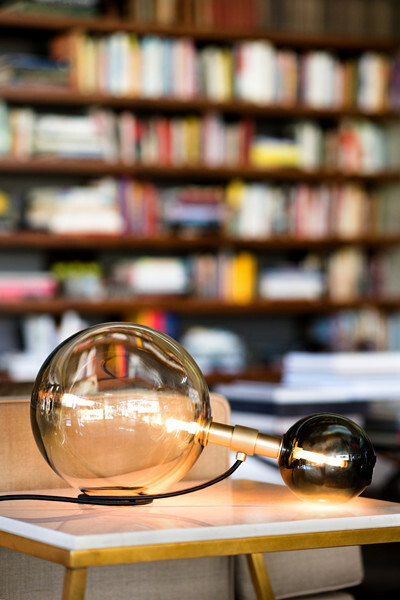 The central cylinder houses the sockets, with the bulbs accessible by unthreading the glass from the socket.